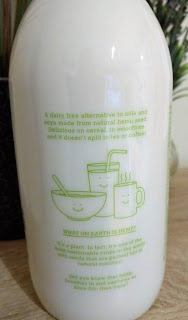 While looking in the alternative milk section recently, I spotted a new hemp milk by the brand 'Good Hemp'. It's a fresh chilled version (there is already a long life UHT option) and it can be found alongside the dairy milks in the chiller cabinet (Waitrose in this case). 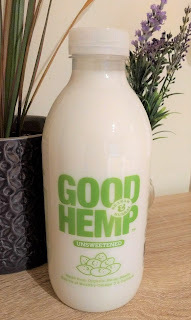 Years ago I tried a long life hemp milk by Good Hemp but I couldn’t get on with the taste. I’m afraid it ended up down the sink. 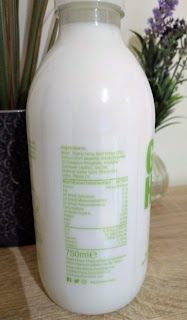 However, this new version looked so tempting: the bottle shape, the colours, fresh creamy milk against the bright green lettering on the bottle. I was swayed into picking it up and hoped that the taste had improved over time. I absolutely love hemp seeds, the little shelled seeds such as those sold by Linwoods. 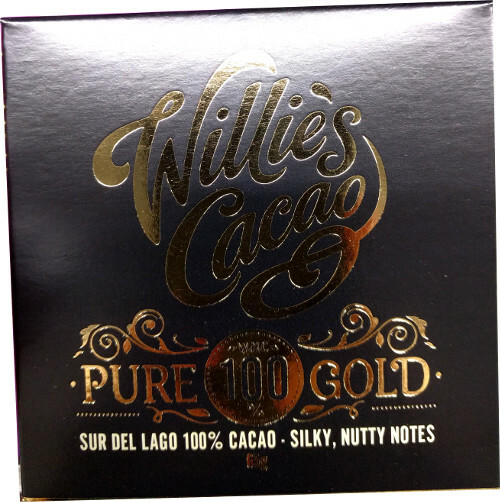 They have a lovely sweet nutty taste and are delicious sprinkled onto yogurt. So I was hoping for that sort of flavour from this alternative hemp milk. I tried drinking it icy cold, on its own, straight out of the fridge first. Immediately I was taken back to the last time I drank this. It’s hard to describe. A sort of cardboard, musty flavour. I’m not doing a good job of selling this I know! But that’s not what I’m trying to do. I persevered and tried using it in my turmeric latte. This was better and more palatable as the strong flavour of the turmeric overrode the hemp. It wasn’t nice in a matcha latte and I wasn’t going to ruin a coffee or tea using it. I tried frothing it after heating and this one doesn’t froth up at all. This is probably due to the fact that it’s very low fat. It’s a shame as I like that it’s a source of omega 3 and hemp is apparently (according to the bottle) one of the most sustainable crops in the world. If you don’t drink dairy, then this could be good to use in recipes that require milk or mixed with stronger flavours. On its own, not so much. Nutritionally it’s very low in calories with just 24 calories per 100ml. It has practically no carbs or sugar and is very low fat. 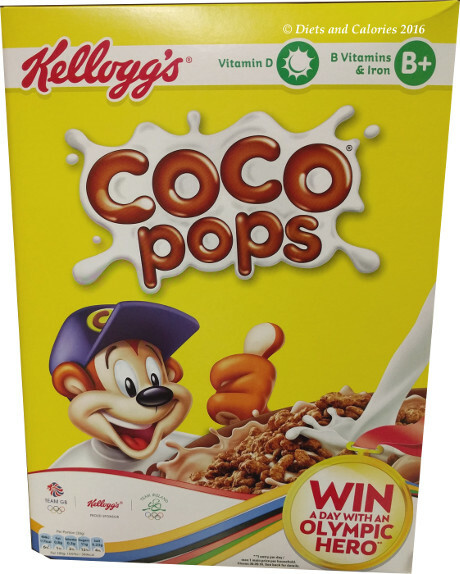 Not so great is the very low protein content, but it is fortified with Vitamin B12, Iodine, Vitamin D and calcium to match dairy milk. Also available in long life. Found in Waitrose, ASDA, Ocado, Sainsburys. Water, Organic Hemp Seed Extract (3%), Calcium (from Seaweed), Acidity Regulator (Di-Potassium Phosphate), Emulsifier (Sunflower Lecithin), Sea Salt, Stabiliser (Gellan Gum), Vitamin B12, Iodine, Vitamin D2. 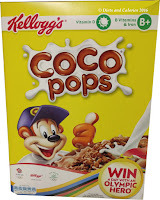 24 Calories, 2.7g fat, 0.4g saturated fat, 0.3g carbs, 0.2g sugars, 0.04g protein, 0.03g fibre, 0.05g salt. B12 0.37ug, D2 22.5ug, Calcium 120mg, Omega 3 0.45mg, Omega 6 1,5mg. Vegan. Dairy Free, lactose free, gluten free.